In-ear headphones are a love it or hate it affair. Some users love its compact design and the fact that you can easily wear them under a hat or a helmet, while others dislike the feeling of having something sitting directly in your ears. Light and compact enough for the gym without sacrificing on audio quality, in-ear headphones are perfect for more or less every situation you can think of throwing at them – running, biking, hiking or simply walking around town. Ideally, the best in-ear headphones (often referred to as earphones) should be ultra-comfortable to wear for extended periods of time. Newer models might be completely wire-free, but if battery life is a concern for you, you might want a pair of wired buds. We're constantly reviewing new pairs of earphones, so we're always updating this list as we find better ones available. Not sold on earphones? Check out our guide to the best headphones of any type. The 1MORE Triple Driver has a lot to offer at the price it comes at. The three drivers produce impressive sound quality with deep bass that is hard to find in any other earphone. Moreover, they are compatible with both iOS and Android. They come bundled with nine sets of ear tips, thus ensuring a comfortable fit for all. While truly wireless earbuds are undoubtedly the future of portable audio, they still present compromises in battery life and wireless reliability. Plus, they’re easy to lose if you’re not careful. Neckbuds, or earbuds that are worn around the neck, are a great alternative to true wireless earbuds as they offer longer battery life for continuous listening and stronger wireless performance. That being said, if you're interested in picking up a pair, it's hard to do better than the RHA MA390 Wireless, which easily stands as one of the best neckbuds on the market. After spending several weeks with them, we came away impressed with the package RHA has come up with: The headphones are built extremely well, have a fun sound signature, can take a beating and still remain relatively affordable. It’s main rival, the OnePlus Bullets Wireless (featured below), are also excellent, however the RHA MA390 offer more dynamic sound and better build quality. OnePlus is most known for its “flagship killer” phones like the OnePlus 6T, but the company also makes headphones - the best example of which are the company’s excellent Bullets in-ears. For Rs 3,999 the OnePlus Bullets Wireless offer an incredible value in the neck-bud headphone category. Sure, true wireless headphones are en vogue now, but tethered wireless headphones offer better battery life and signal strength for much less money. The V-Moda Forza offers a lot - it sounds good, it's built to last and its modular design is like nothing we’ve seen before on an earbud. The Forza, therefore, are perfect for anyone who wants a headphone that can do it all, from working out to taking these with you on the morning commute to the work. It’s not the most balanced sounding or highest resolution, but the water resistance and modular design of the Forza make it a pretty compelling option. Second on our list is the RHA T10i. It's here for one simple reason - the sound quality is incredible, thanks to the snug seal created when the headphones are stuck in your ear. Plus the bass is also robust for such small earphones. The RHA T10i looks slick with a metal finish around the drivers and around the cable as well. They also come with several replacement tips if the defaults don't fit your ear canal. They're more expensive than other buds on the list, but there's good reason they're in our top spot. If you have a tendency to lose or break headphones but still value sound quality, it’s hard to think of a better option than the RHA S500u. These headphones have no business sounding this good for the price. Sound quality is balanced with a slight mid-bass bump. Bass is slightly emphasised but not egregiously and features good impact while maintaining good control. And highs, while sibilant at times, makes music sound more exciting. There's no shortage of sub-Rs 13k headphones on the market, but the Beyerdynamic iDX 200 iE are at the top of the pack. Their excellent build quality, sound and design make them one of the most well-rounded in-ear headphones we've ever heard. No, they're not cheap, but again, you get what you pay for. The Klipsch Reference X6i are a wonderful-sounding package. Their comfort, build quality, sound quality and features make it great value for the money, too. 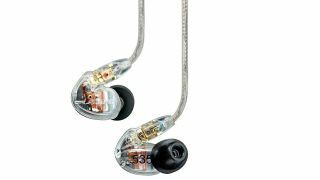 They have some problems (like an awful lot of cable noise while you're moving around with them on), but if you're looking for balanced sounding in-ear headphones, we can wholeheartedly recommend the Klipsch Reference X6i. Stated simply, they're supremely comfortable audiophile-level in-ear headphones for an affordable price. With the appealing candy apple detailing, Sennheiser gets you in the door. But once you're in, you'll stay for the killer sound quality that comes from the Momentum In-Ear earphones. These are the among the best deals in the headphones market as it stands today. The company has a version available for each flavor of mobile OS – Android and iOS – so everyone can get in on the goodness. It is the high-end variant of the 1MORE Triple driver earphones listed above. These come with four drivers integrated into an aluminium shell, which delivers amazing sound and comfort to its users. Just like its younger sibling, the 1MORE Quad Driver comes with nine sets of ear tips and is compatible with both iOS and Android. The earphones may sound costly to some, but if you are looking for a great build and balanced audio quality, then they are worth every extra penny. Have a pair of headphones you want to recommend? Hit us up on Twitter.